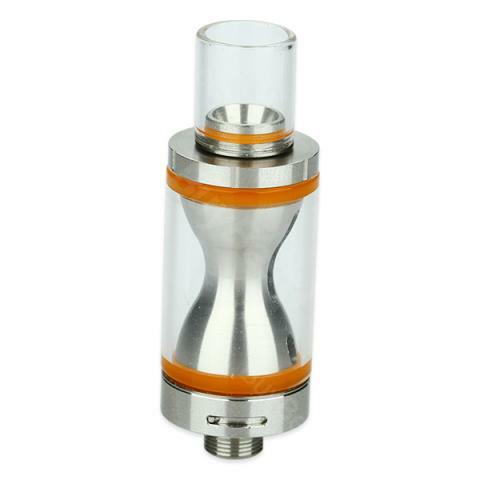 Inspired by the hourglass, e-juice in Arcus Atomizer is decreasing with passing time. You can enjoy a perfect mouth inhale experience with it. VapeOnly Arcus Atomizer - 2ml is an exquisite tank inspired by the hourglass. e-Juice is gradually decreasing with passing time just like sands running out. With 1.5 ohm and 1 ohm coil, you can enjoy both mouth inhale and mouth to lung inhale. Also you can decorate the tank with replaceable sealing o-rings. • You can buy Arcus coils. Ich habe lange überlegt ob ich eine E- Zigarette bestellen soll. Habe mich erst richtig eingelesen damit ich für mich das Richtige finde. Dazu kann ich nur sagen VapeOnly Arcus war die richtige Entscheidung. The VapeOnly Arcus Atomizer works great with my battery.